Wellness Support | My Gospel Workers | "Redeeming the Time"
H.E.A.L. 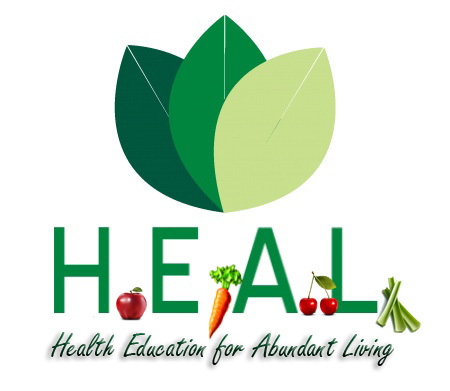 is an acronym that stands for Health Education for Abundant Living. H.E.A.L. is an eight-session, lifestyle intervention for people from all walks of life who come together to learn principles for temperance and successful self-management. These groups are led by a specially trained lay leader and will address a variety of topics such as: weight loss, chronic diseases, illness, nutrition, stress, depression, remedies, spirituality, and more. The principles of the workshop are based on the eight laws of health (nutrition, exercise, water, sunshine, temperance, air, rest and trust in God), the Bible, and Spirit of Prophecy. By attending a H.E.A.L. workshop, you will gain the confidence you need to to maintain progress towards your individual health goals, whether they be losing weight, increasing energy, feeling better, or reversing and managing your chronic conditions. You will also gain new skills and tools that will help you along your journey. The H.E.A.L. Workshop is welcoming of all who attend. We invite participants to share their knowledge, experience, and stories in a nonjudgmental environment. The H.E.A.L. Workshop will provide reassurance and encouragement to those who may need a little push to lose extra pounds or for those who may need guidance when faced with chronic illness or other health challenges. The H.E.A.L. Workshop is not just about learning information, but it’s also about making realistic goals and meeting them. Each week, you will make an achievable goal and you will be motivated by each success. We believe that success, in any amount, is important to progress, and we are here to celebrate it with you! We believe that wellness is not just about exercise and nutrition, but it is about developing the whole man: physically, mentally, and spiritually. Our habits of life affect our entire human system, and it’s important to be conscientious in regards to the laws of life that God has established in our being.